Chris and I first started using Airbnb on our honeymoon in 2015. Since then, we have stayed in Airbnbs in 11 countries and 5 states! I love it not only because it's usually a more affordable option, but also because it gives you the experience of really feeling like you live in the place in which you're traveling. 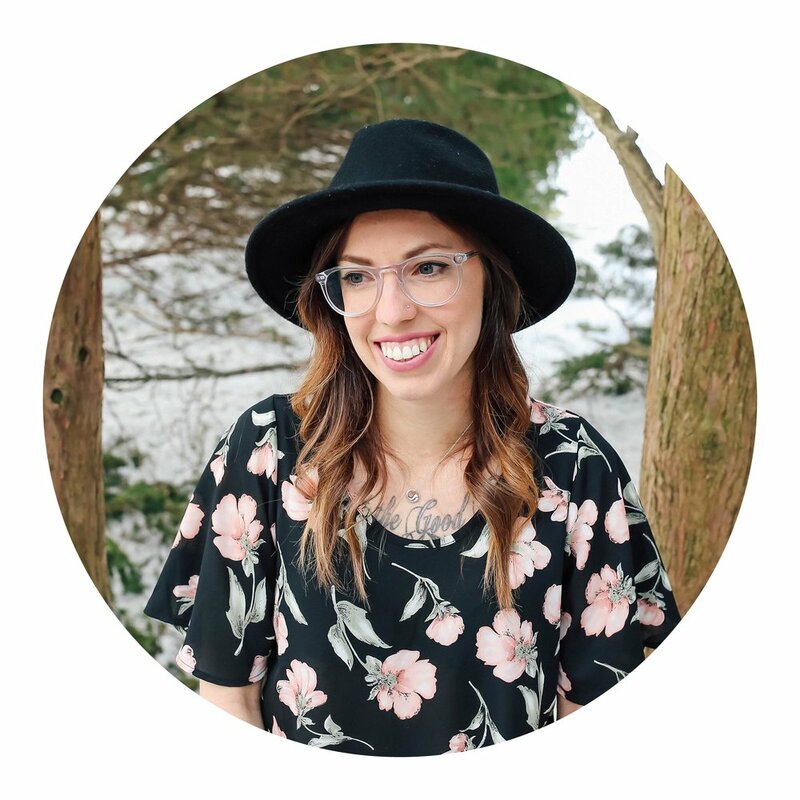 I tend to choose Airbnbs over hotels, especially if I know we will want to cook our own meals some days or are traveling with friends and would like multiple bedrooms in the same house. I would like to share a few of my top tips for choosing the perfect Airbnb - take a look and let me know what you think! The detail that I always assign the most importance to when looking at Airbnbs is location. Many times when visiting new cities, I plan on getting around on foot, so finding a home that's walkable to the major sights and to some restaurants and cafés is highest on my list. 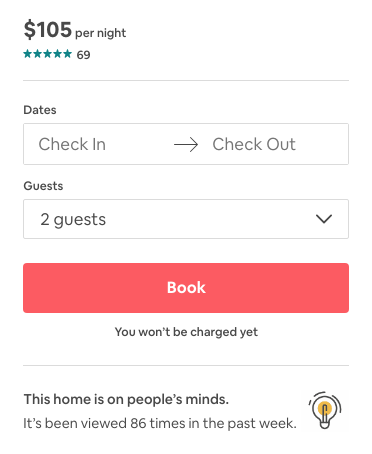 While browsing Airbnbs, you aren't able to see the exact address (until you make the booking), but it does show you a pretty specific area in which the residence lies. I usually pull up Google Maps alongside the Airbnb map so I can make sure it's in the area in which I'm hoping to stay. 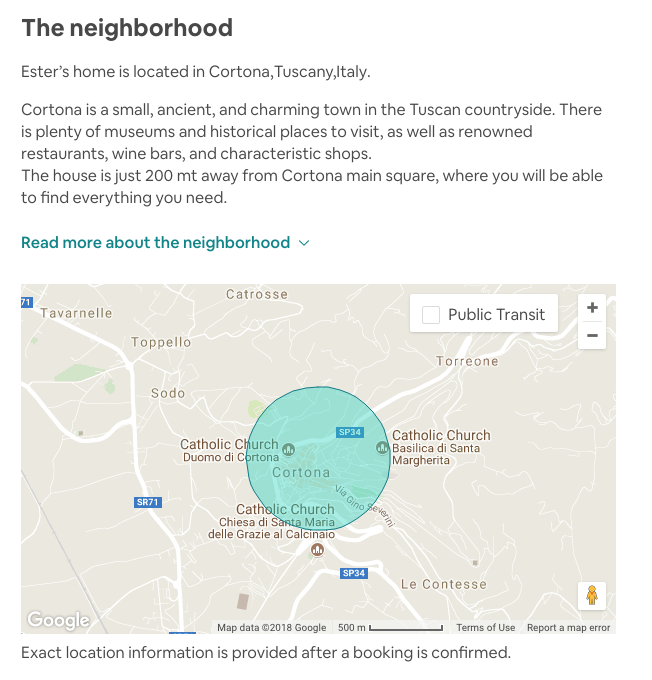 The Airbnb hosts have the option to write a little bit about the neighborhood as well, which is quite helpful. TIP: If you're unsure about which area in a city would be a good place for you to stay, try googling "which neighborhood to stay in in Paris (or wherever you're going)." You can usually find an article that describes each neighborhood; this will help you get an idea of which would best suit your desires. Reviews are so important on Airbnb. Positive reviews are helpful in confirming the ease of the check-in process, the response rate of the host leading up to and during the stay, the comfort of the accommodation, the walkability, and more. Pay attention to things that are mentioned more than once, especially if they are negative. For example, if multiple people mention that they had trouble with the WiFi and you're planning on needing internet to get some work done on your travels, that may not be the place for you. Additionally, if I find that more than one person mentions that they felt that the area was sketchy, I usually automatically discard that option. The host's response rate is a crucial indicator on how helpful the host will be in general. If you have questions prior to booking, about transportation to and from the Airbnb, last minute changes in your arrival time, etc., knowing that the host will get back to you quickly is a huge advantage. 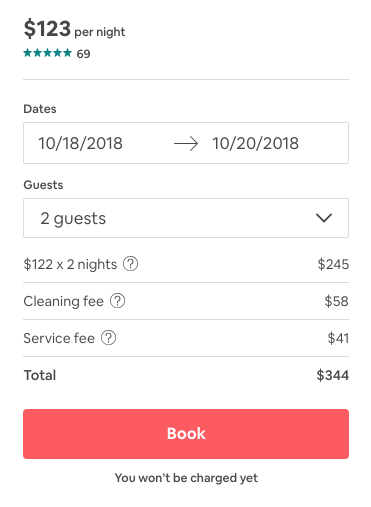 You can browse Airbnb all day and find dozens of homes you're dying stay in, but you won't know for sure if they are available during your needed dates unless you plug those dates in, of course. Another significant reason for doing this is that the price of a home often changes for different months or days of the week, so you'll want to make sure that the price you're seeing is accurate for your dates of stay. The most fun aspect of Airbnb is that there are SO many homes with SO many different styles and amenities and I find it very satisfying to find one that perfectly fits what I'm looking for. Personally, one of my favorite features is a balcony (I love views and outdoor dining!). Another necessary amenity for me, particularly when traveling overseas because I don't purchase an international phone plan, is WiFi. Depending on where you're traveling, making sure the residence has air conditioning could be a very key factor. You may also need parking or laundry facilities. Airbnb gives you the option to choose to rent a private room in a house or an entire house/apartment. I personally enjoy my privacy while traveling and have only reserved "entire house" Airbnbs. However, if you're looking to save on cost, booking a private room in a shared house can be a great option if you don't mind a shared living space! Lastly, the style of the home can have an influence on my decision to book. I tend to prefer someplace either modern and bright or designed to reflect the traditional style of that city/country (a village house in Tuscany, for example). But the best part about this whole process is that you get to choose what YOU like best. What is the BEST Airbnb you've ever stayed in? Tell me about it!